This is a hybrid SACD that can be played on standard CD players (CD layer, stereo only) or SACD (both stereo and multichannel). The 5.1 layer is only 4.0 channels from the quadraphonic master. Love Theme from Romeo and Juliet was originally released in 1969 (Columbia CS 9906) in stereo only. In 1972, Columbia engineers remixed it when releasing the first batch of quadraphonic albums on 8-track and Lp (Columbia CQ 31004). 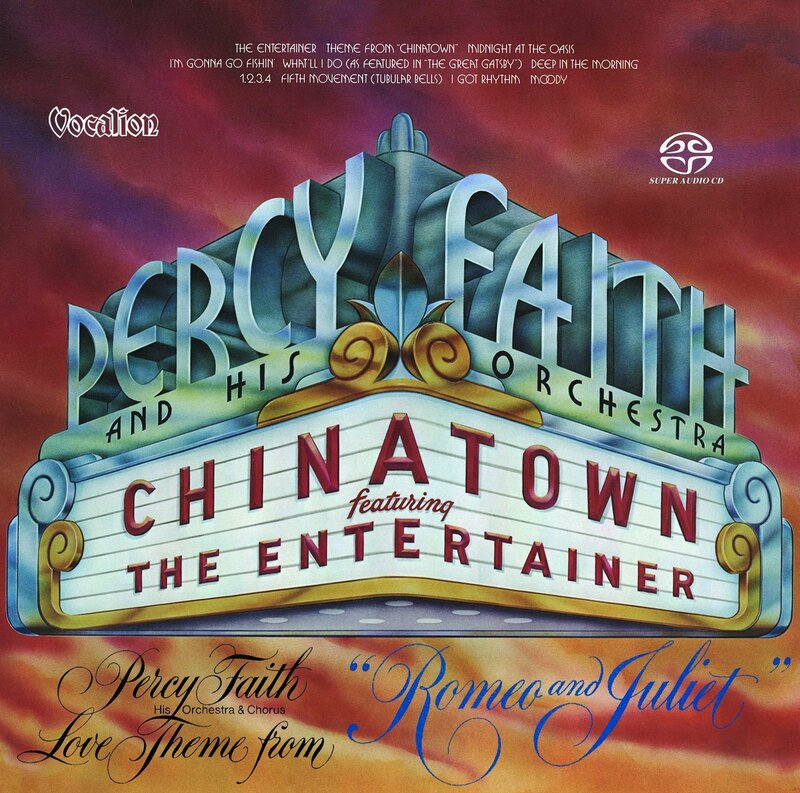 Chinatown was recorded in 1974 and released in both stereo and quadraphonic mixes (Columbia CQ 33244). The hybrid disc actually contains 63 tracks: 21 on the CD layer, 21 stereo on SACD layer, and 21 quadraphonic on SACD layer. This disc can be purchased directly from Dutton Vocalion.